Labour MP, Marion Hobbs, has a long history of activity in the Anti-Apartheid movement. Much of it ran concurrently with her Marxist-Leninist activities. In 1969 Hobbs was on the Canterbury University Students Association executive and stood for the Canterbury Hospital Board on the Labour ticket. From 1971 to 1974 Hobbs was a Vice President at NZUSA, then one of the main focal points of NZ Maoism. From 1974 onwards, Hobbs was very active in the Christchurch Committee on Southern Africa. In the groups minutes Hobbs stated "that CCOSA had been set up to co-ordinate anti-apartheid activity and to carry on with general anti-apartheid work." In 975 Hobbs joined the Christchurch branch of the Communist Party. She has referred to this as a "flirtation", but it lasted for seven years. The CPNZ in 1975 was a small sect paying homage to the memory of Stalin and Mao. In 1977/78, the CPNZ broke with China and transferred its allegiance to Enver Hoxha's Albania. Marian Hobbs was no moderate Eurocommunist, she was a Stalinist and a Hoxhaite! By 1981, when the Springbok Tour rolled around, Hobbs and her comrades from the CPNZ were ready. The Christchurch Press of the 14th July 2001 claims that Hobbs was a member of a secretive inner cell which spent months preparing the ground for the Springboks arrival. Hobbs took on the role of HART medical aid team co-ordinator and as an official in Christchurch's Coalition Against the Tour. She was arrested several times, including once for the occupation of the Christchurch National Party offices in Lichfield St. My wife was one of Hobbs' pupils at Mairehau High School at the time and remembers missing a class because her teacher had been arrested. 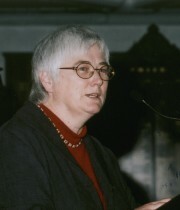 Hobbs credits the violence she saw in 1981 with her decision to leave the CPNZ the following year. She claims it brought home to her, the implications in human terms of a real revolution.